Is Your Facilities Software Mission Critical? Is your facilities software built to be a mission-critical part of your IT infrastructure? Providing facilities maintenance services 24x7x365 is crucial to ensuring your environment is operational, functional and clean, and brand standards are maintained. To do so, it’s critical that the underlying software that supports your repair & maintenance processes is always available and always working. "It's critical for our facilities management system, like all our systems, to incorporate and support the latest infrastructure technologies to guarantee scalability, uptime and security. 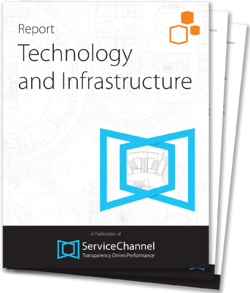 Our team dug in deeply and saw that ServiceChannel delivered on all fronts."